Studies confirm that regularly showing genuine, heartfelt appreciation helps increase employee satisfaction, loyalty, and retention. 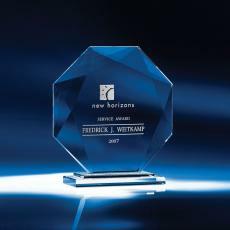 Awards.com makes it easy to show your gratitude, with thousands of impactful employee recognition awards to choose from. Get recognition award ideas here for annual or weekly company meetings, holiday parties, team recognition, retirement ceremonies, and much more. 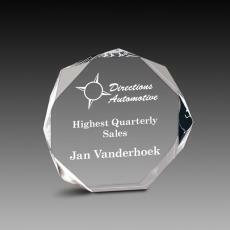 You'll also find recognition award options for nonbusiness organizations, as well as sports tournaments and much more. 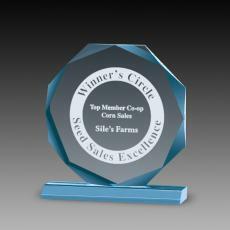 All award recognition ideas you'll find here come with free logo, engraving, and proof. 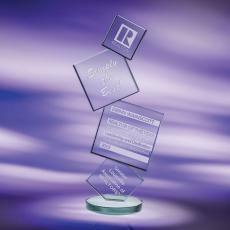 Make your selection using categories such as award size, shape, material, price, color, and more to find your perfect selections. 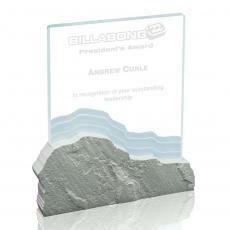 Ensure all employee award ideas are personal by adding the recipient's name and your company brand on the award. 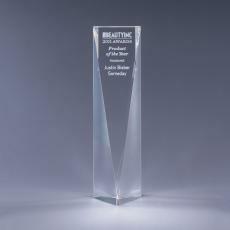 Choose from stunning crystal trophies, glass art awards, sleek metal awards, and uniquely shaped awards. 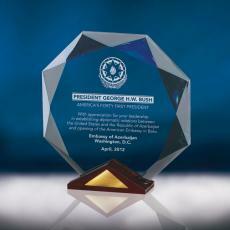 Whatever the occasion, there are recognition awards that will make recipients feel honored. 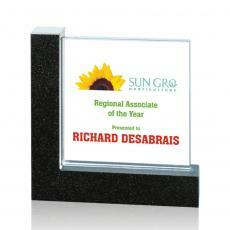 Improve how employees and others view your brand by making recognition an integral part of your organization. In addition to trophies and plaques, check out our selection of classy gifts and accessories, including vases and barware. 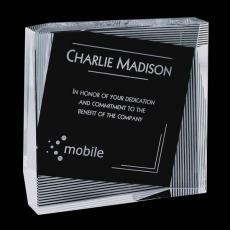 Make recognition awards a regular part of team meetings, special event celebrations, and major accomplishment acknowledgement. 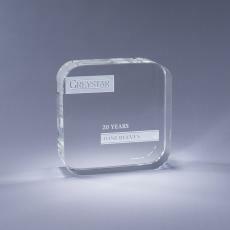 Recognition award ideas help to reinforce stellar performance, show gratitude for effort and a job well done, and strengthen the relationship between your organization and recipients. 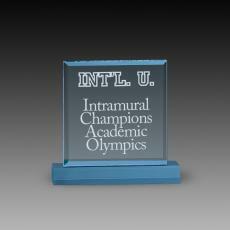 Browse our extensive selection of teacher, executive, participant, retiree, and employee award ideas below or create a custom trophy award. $95 - $135| Sizes: 5"x7", 5.5"x8" & 6"x9"
$120 - $210| Sizes: 4.5"x4.5", 5.5"x5.5" & 6.5"x6.5"